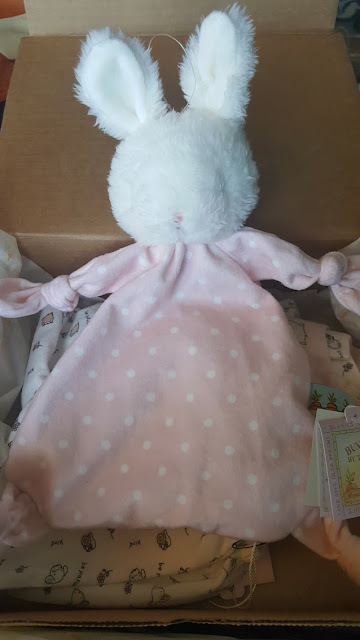 The Blossom Bunny Knotty Friend is a super plush and soft lovey that babies will enjoy for years to come. 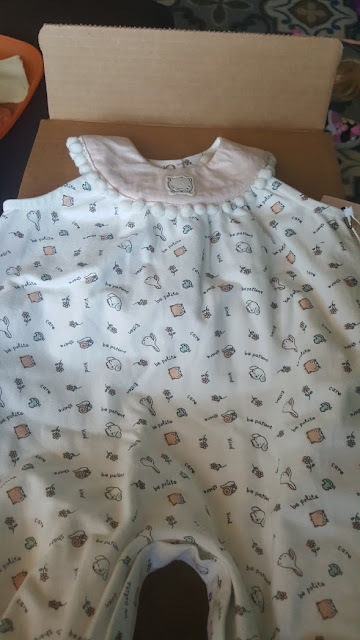 The Pretty Play Suit is the most adorable little romper I've seen. 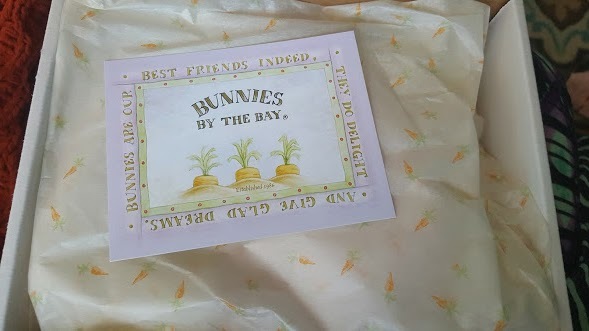 It has little flowers, words and other adorable pictures on it. The collar has a dangly ball fringe.